Did you know that once a lead is created in SalesExec, it may be necessary to update its marketing information? An update such as this may be needed in the event a lead has the incorrect Lead Source, or a vendor accidentally posted the incorrect Marketing Channel. 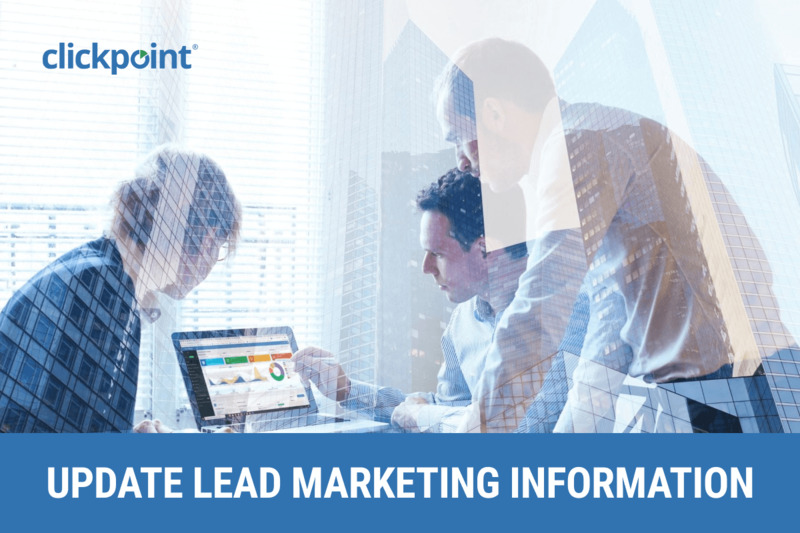 Having the ability to update lead generation data allows marketing managers to better track lead performance. Note: In general, this tool should not be enabled for all users and should only be used by Marketing Managers and appropriate account administrators. 1. Before this feature is enabled, you must first decide on which user roles should inherit this new permission. Then, navigate to More > Settings > Create Roles and Permissions. 2. Edit the desired User Role by selecting the Pencil icon. 3. 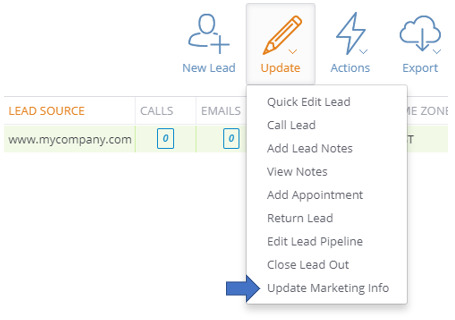 Towards the bottom of the screen, enable Update a Lead’s Marketing Channel, Lead Source or Campaign. 4. Once enabled, the tool is accessible under the Update options located on the Lead Manager Screen. 5. On selection, a modal window will display with the ability to update Marketing Channel, Lead Source and Campaign. 6. After the appropriate selections are made, select Save. Within the lead’s history, a new line item is created to denote that a change has been made. That’s it! Now you know how to modify lead marketing information and better track lead performance in SalesExec, a lead management and sales engagement platform. This entry was posted in ClickPoint News / Lead Generation System / Lead Management Software / Sales Software Best Practices on August 1, 2018 by ClickPoint Software.